Fundamentals Part3: Dan Foley — WETHEPEOPLE BIKE CO.
For a stylish and fluid rider like Dan Foley, a dialled setup is a must. Dan is very specific about what he wants in a part and how it functions. For our Third instalment of Fundamentals, we decided to hit up Dan and find out what makes the Royal Crank such a vital part of his #Cadence setup. You’ve been riding the Royal Crank since you got on the team, why do you prefer them to other cranks you’ve run? They're clean, simple, and strong. No gimmicks, just a clean and reliable pair of cranks. You run the traditional 175mm arms, but can you ever see your self trying the shorter 170’s? Yeah I could see myself trying 170's. I used to run them when I was younger and always liked them, so I may give them another shot. How important is it to a rider like you to make sure you have a strong dependable pair of cranks? To me, crank strength is super important. If you think about it, cranks take an immense amount of stress no matter what you're riding. All of your body weight is constantly pressing down on them. Knowing that your cranks are sturdy really helps your confidence in taking a decent drop or boosting anything that may have a less-than-perfect landing. The Royals have been on the market for over 10 years now, does riding a well known and dependable product give you more confidence with your riding? The legacy of the Royal cranks definitely gives me more confidence. To know that such a key element of your bike has been tried and true for over 10 years makes you feel good about what your bike can handle. Product design in BMX changes so fast, It's pretty crazy to think that the Royal cranks have remained pretty much the same for over a decade. 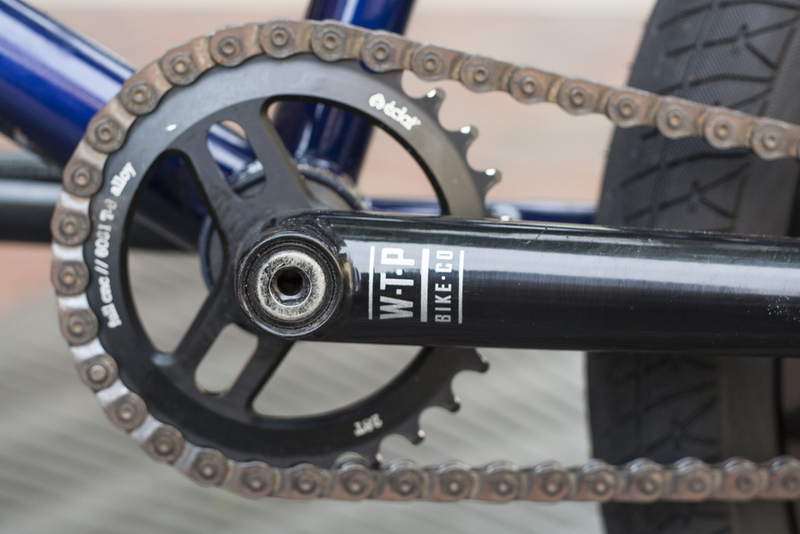 The Royal Cranks are available now from Wethepeople dealers worldwide in 175mm and 170mm option in Gloss Black, Chrome and Black Titan. Take a closer look at the Royal Cranks HERE.